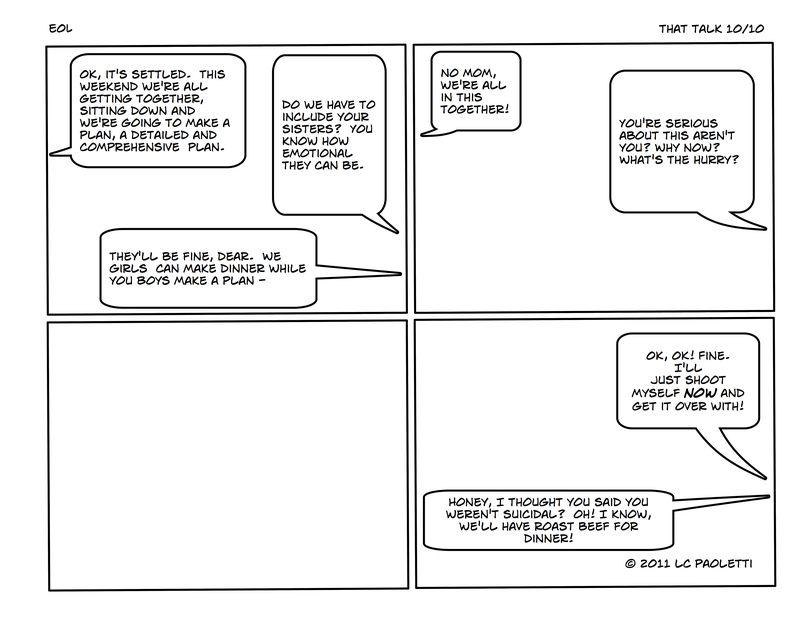 The three-way silence in the third panel speaks volumes as push comes to shove and the series ends with conclusion that this is just the beginning of talks on all topics relating to end of life: healthcare, proxies, estate planning, and final wishes. This conversation will resume another time with all family members involved. The father is angry because he didn’t want to deal with this and now has to do so, the mother, again, provides the comic relief. This entry was posted in That talk (series) and tagged discussion, planning. Bookmark the permalink.